An accident can happen anywhere. You don’t have to work in a mine or industrial environment. Injuries may also occur during routine office work. Our work injury lawyers have the skill and experience to help you determine if you need to file a workers’ compensation claim for an injury. If you receive an injury “arising out of and in the course of employment,” then you are usually entitled to workers’ compensation under Florida statutory law that provides some measure of wage replacement and medical benefits to help you recover from the injury. These benefits may also help take care of any family members who might have been dependent on your lost income. The legislative intent of workers’ compensation is to provide these benefits promptly to facilitate the workers return to gainful employment at a reasonable cost to the employer. But timing is important. Workers need to document their injuries and notify their employer within 30 days because failure to do so may bar them from receiving benefits from workers’ compensation. • Permanent total disability – which may include spinal cord injury with severe paralysis or severe brain or closed-head injury – 662/3 of average weekly wages shall be paid. • Temporary total disability – temporary in character but total in quality – 662/3 of average weekly wages shall be paid for the continuance of the injury, which usually may not exceed 104 weeks or until the employee reaches maximum medical improvement. • Temporary partial disability – for those that can return to work but cannot earn as much as they did before the injury – benefits should be equal to 80 percent of the difference between what the employee earned and what the employee is able to earn post injury, but may not exceed 662/3 percent of average weekly wages at the time of the accident. • Permanent impairment benefits – if the employee still has impairment after reaching maximum medical improvement – should be paid based on his or her impairment rating. Nationally, the U.S. Department of Labor Bureau of Labor Statistics reports over a million workers suffered injuries or illnesses in 2011, requiring a median of eight days away from work. 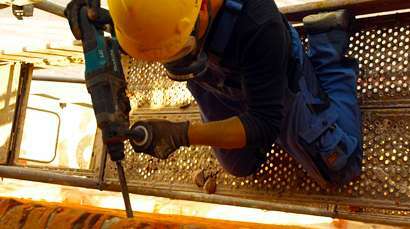 A preliminary total of 4,609 fatal work injuries were recorded in the United States in 2011. In Florida alone, 227 people were killed from workplace injuries in 2011, according to preliminary statistics from the BLS. • Third-party personal injury claims against someone who is not the employer. For example, a delivery driver injured in a collision while making a delivery for an employer, may be able to make a personal injury claim against the at-fault truck driver. • Personal injury lawsuits may sometimes be brought directly against the employer if the employer has committed intentional or egregious conduct that resulted in injury or death. • Products liability actions where if a worker is injured by a defective product he or she may bring a claim against the manufacturer of the product. • Civil actions where if the employer does not carry workers’ compensation, then the worker may be able to sue them in civil court to collect money from a state fund. If you’ve been injured in the course of employment and would like to consult a skilled workers’ compensation attorney to help you file a claim or protect your rights, please contact us.